Our choice of cask conditioned ales are brewed by Fuller's. Our house ales are London Pride and HSB and we also offer a seasonal option. If you are travelling to us for a particular beer, please do check in advance. Due to the nature of keeping real ales there may be times when one is not available or has been substituted for another option. 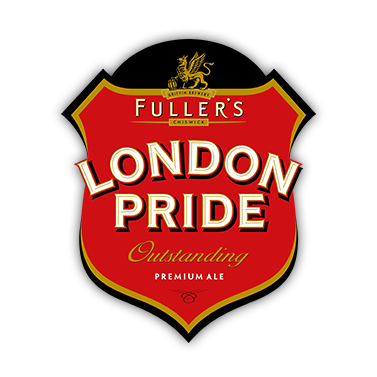 London Pride 4.1% vol Classic premium ale, smooth & malty with well developed hop character. Former Champion Beer of Britain. UK's favourite premium ale. HSB 4.8% vol Brewed with the finest malt and hops, HSB imparts the rich, soft-fruit flavours of traditional Dundee cake. It’s a tawny, russet coloured beer, with malt and raisin on the nose – and a gentle sweetness that lingers long into the silky smooth finish. Front Row 3.7% vol ​Making its debut in February 2011, Front Row has become a key player in Fuller's seasonal squad of beers. It's a balanced, refreshing ale with moreish biscuit malts - making it the perfect pint for any rugby occasion. Berkeley Beer Tasters, 1/3 pint of 3 of our real ales.